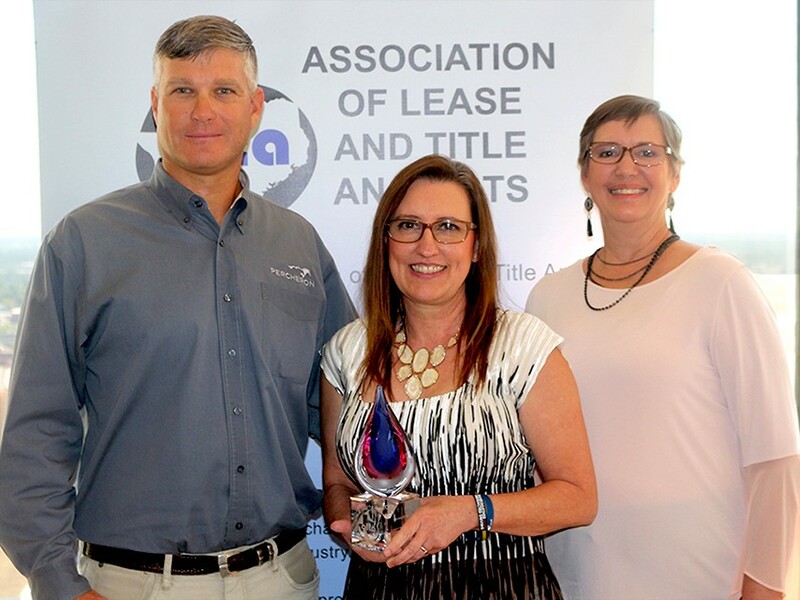 HOUSTON, TX – October 25, 2017 – Lori Fisher was awarded the ALTA Member of the Year award at the ALTA Manager’s Appreciation Luncheon on October 24, 2017, at the Petroleum Club in Houston, Texas. This award is given annually to an individual member determined by the ALTA Board of Directors. The award is given to the person who has contributed heavily to the local chapter, the NALTA certification program, and place of employment, as well as being of high professionalism and character. Lori Fisher is Director of Land Administration at Percheron LLC and serves on the NALTA Board of Directors as Certification Director. Also in attendence from Percheron was Jeff Trlicek, Sr. Vice President - Energy and Sharon Tucker, Manager - Land Administration. Congratulations, Lori!